Not a newsflash: Tanning is bad, especially if you do it in a tanning bed. Not a newsflash: Teenage girls like to tan. So it's not necessarily surprising that a new study reports that 29 percent of white high school girls use tanning beds, although it is pretty disheartening, especially considering everything we know about the very real dangers of skin cancer. Naively, I thought the obvious evils of tanning beds were well-known enough that people would be at least a little bit deterred from going to tanning salons (evidence: Tan Mom). But apparently not, considering that rates of melanoma in white women ages 15 to 39 have risen 3 percent a year since 1992, according to the American Cancer Society. That's even with the constant emphasis on sunscreen that comes from women's media and retailers. Maybe it's just me, but I feel like I can't read a magazine without being reminded at least five times to wear sunscreen... and that's not a criticism. In the years since I was a high school girl, it seems that awareness of sun damage and skin cancer has gone up quite a bit, but I guess I've overestimated that effect. Or maybe teenage girls would still rather not risk looking streaky from self-tanner in their prom photos. The Centers for Disease Control and Prevention study, which was published in JAMA Internal Medicine, found that by age 18, 44 percent of white girls have used a tanning salon in the past year and 30 percent were frequent tanners (frequent tanning is defined as having used a tanning salon 10 or more times in the past year). 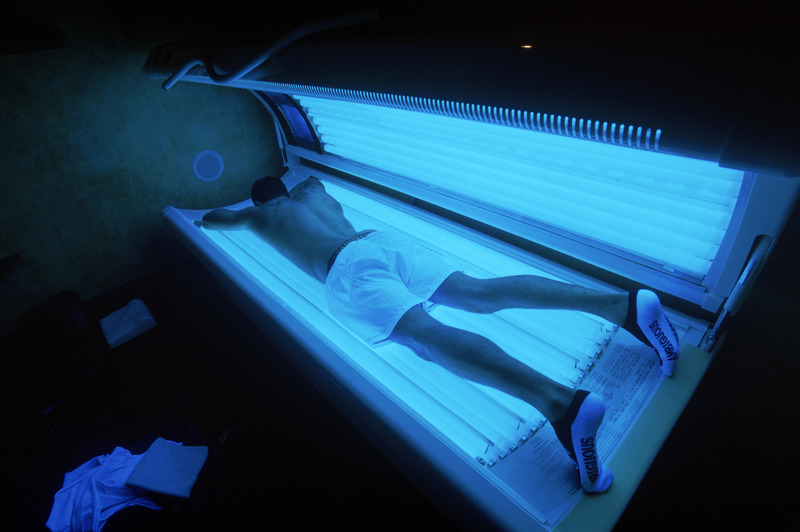 The American Suntanning Association (yes, it's a real thing) has criticized the C.D.C. 's study, which they say neglects to mention that skin cancer rates are also increasing in men, especially in men over age 50. Although that may be true, that doesn't make the information that teenagers are still using tanning beds frequently any less valuable. For good measure, and because we can, here's some more stuff on tanning being dangerous. Because scare tactics.